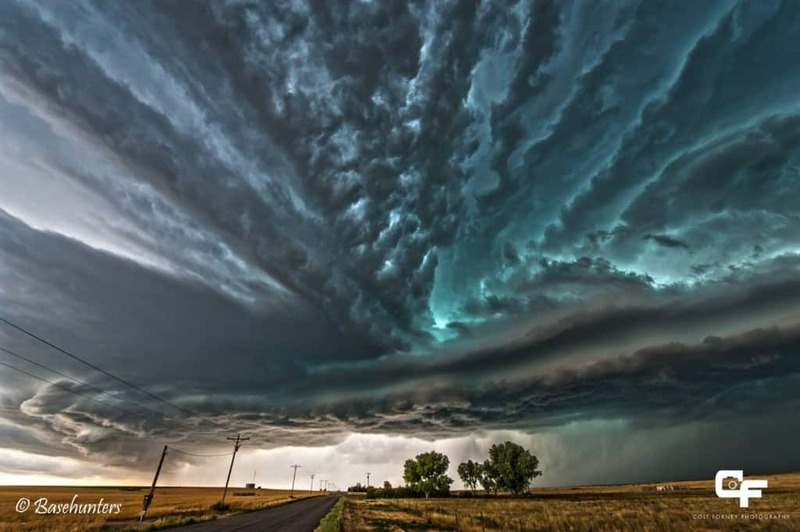 Storms are perhaps the most incredible natural phenomenon. They’re able to create some of the most beautiful pictures yet can be devastating to both people and the environment. 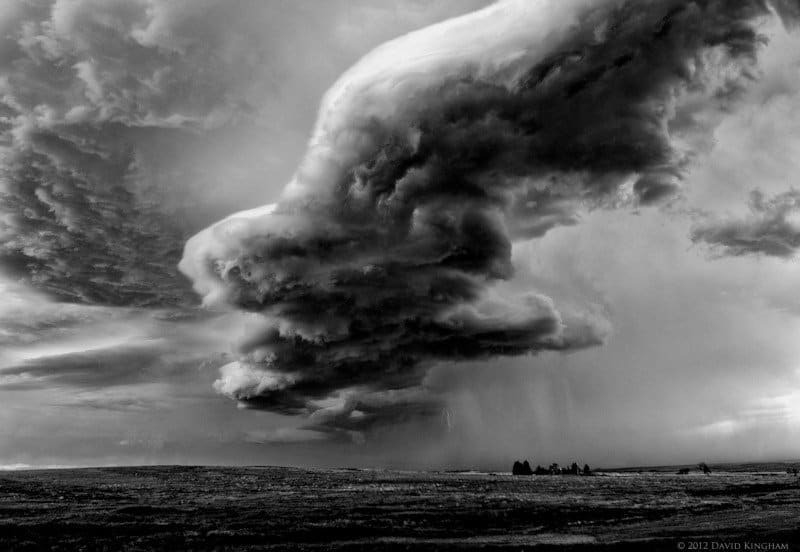 The following list of incredible cloud formations includes some of the most bizarre and dangerous scenes from all over the world. 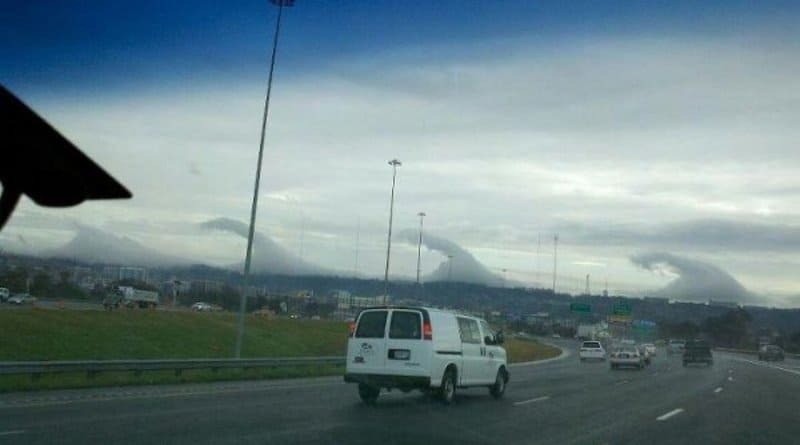 Clouds can take all kinds of forms, be it dangerous shelf clouds in North Carolina, halos in Moscow, tsunamis in Alabama, or a picture of Elvis in Spain. 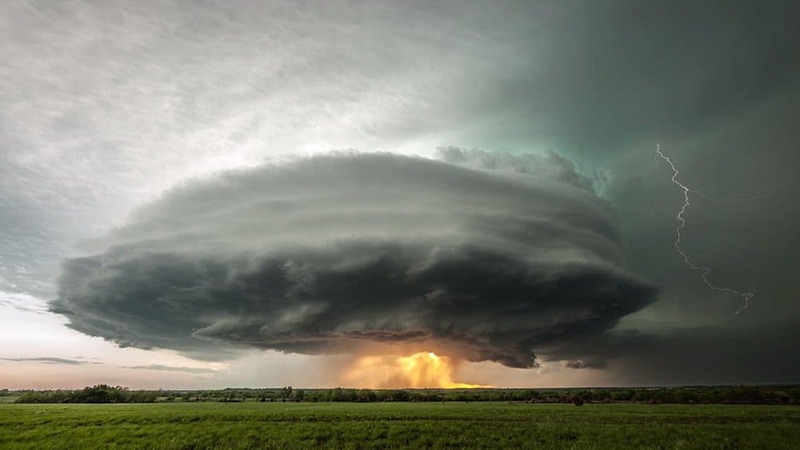 A supercell of a powerful storm that formed in Texas. Despite all the swirling, there was only one twister that formed. 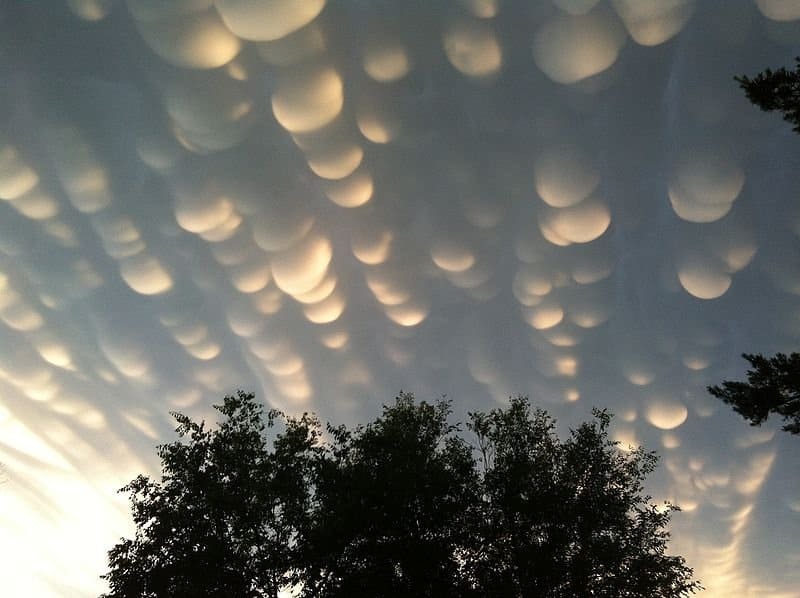 These bubbly clouds, named mammatus clouds, are usually formed during temperature instability at the base of a thunderstorm, but it isn’t known exactly why it happens. 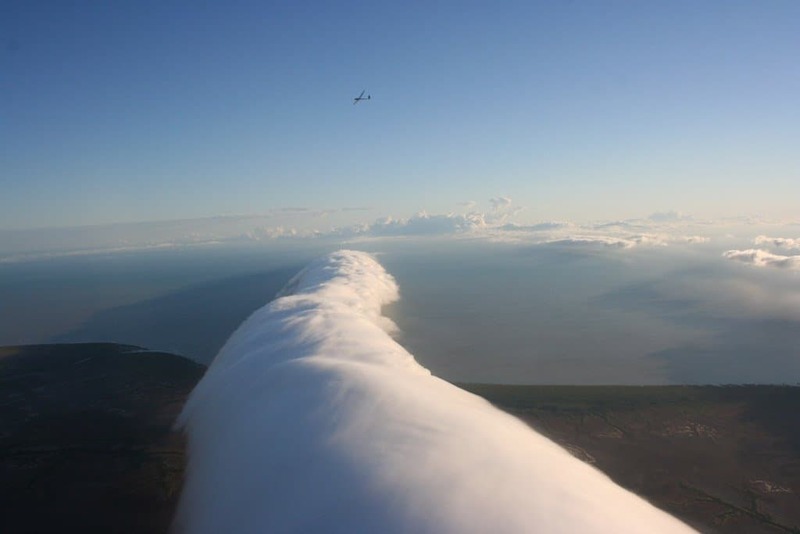 Clouds in the form of multiple tsunamis in an area near Birminghal. 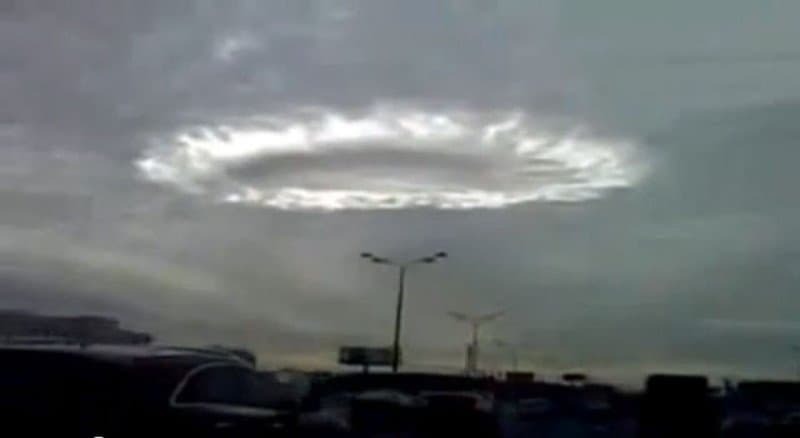 A halo that formed over Moscow, usually formed by a disruption in the sky that can freeze water droplets. 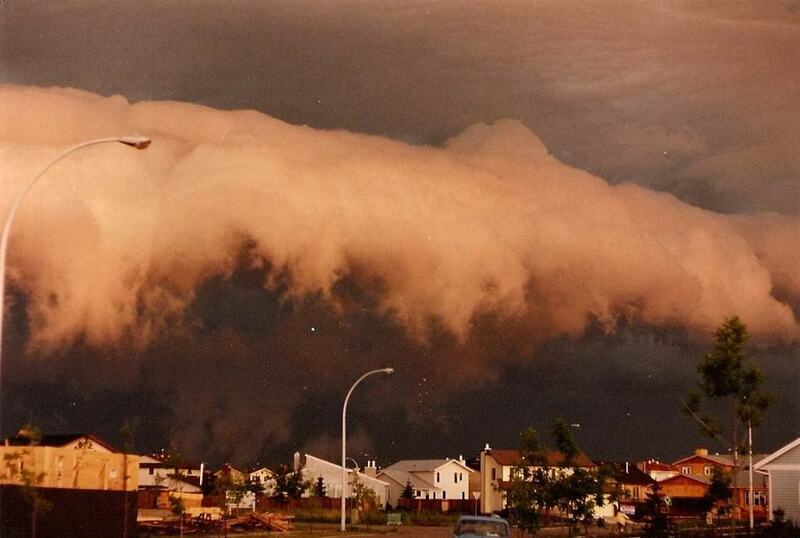 A face forming in the clouds during a storm in Canada. A wall of dark clouds raging and surrounding over St. Petersburg. 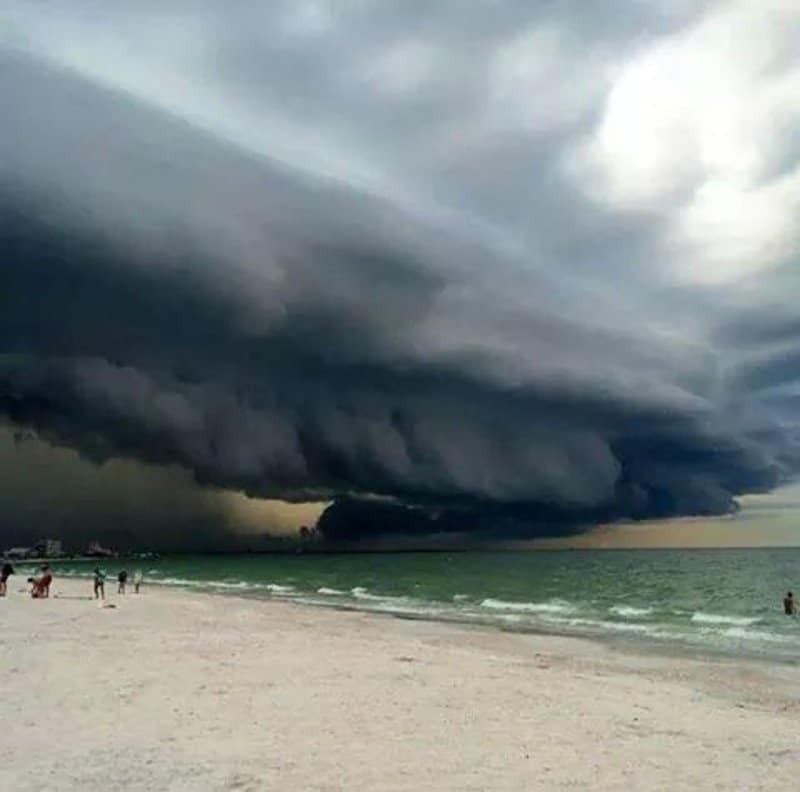 This is partially the formation of rare shelf clouds. 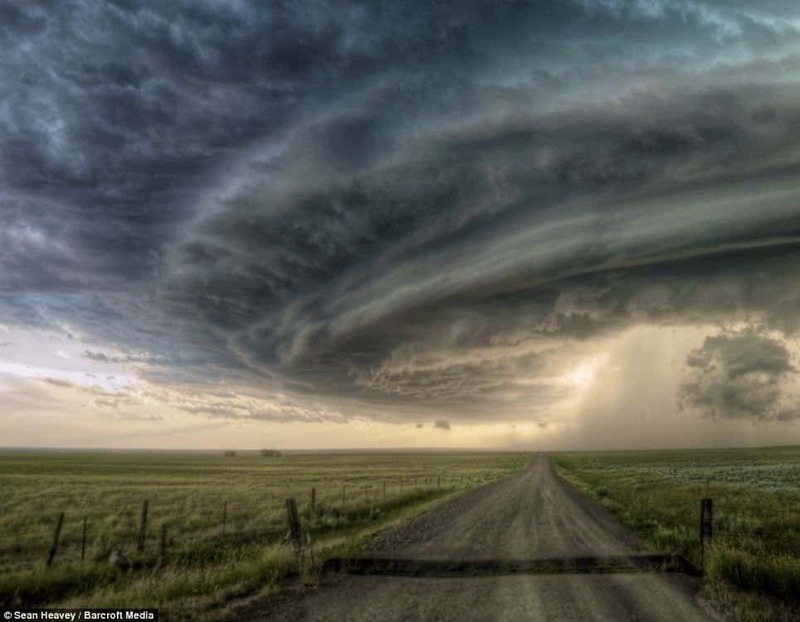 A supercell that formed on top of Montana. A mashup of different storm cells clashing together to create a visually stunning effect with the clouds. 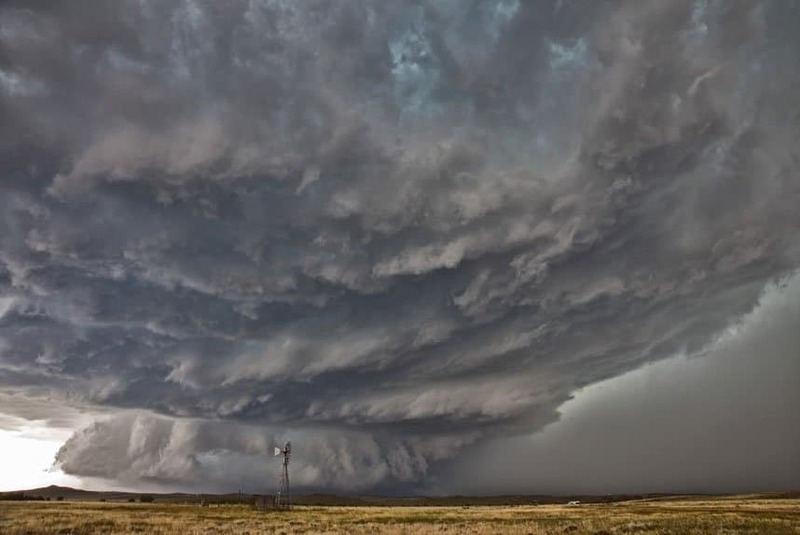 A dangerous looking cloud that formed over the South Dakota plains. 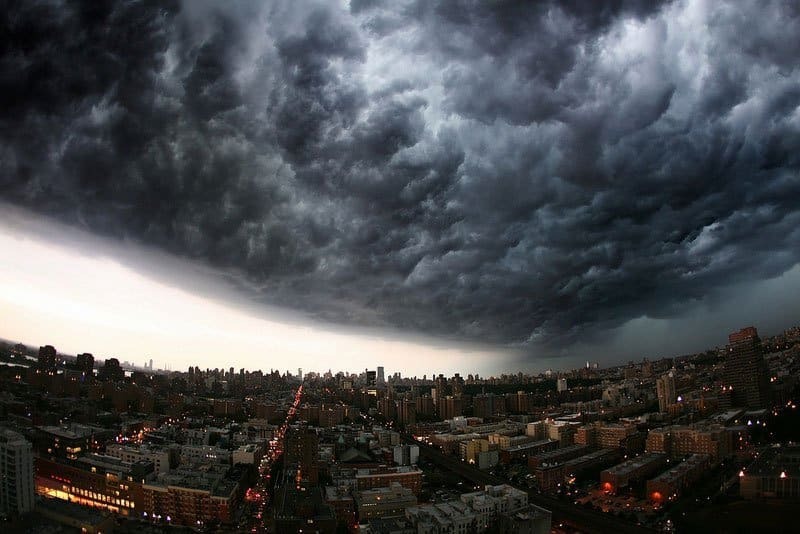 The end of the world looks like it’s forming over one of the nation’s biggest cities. 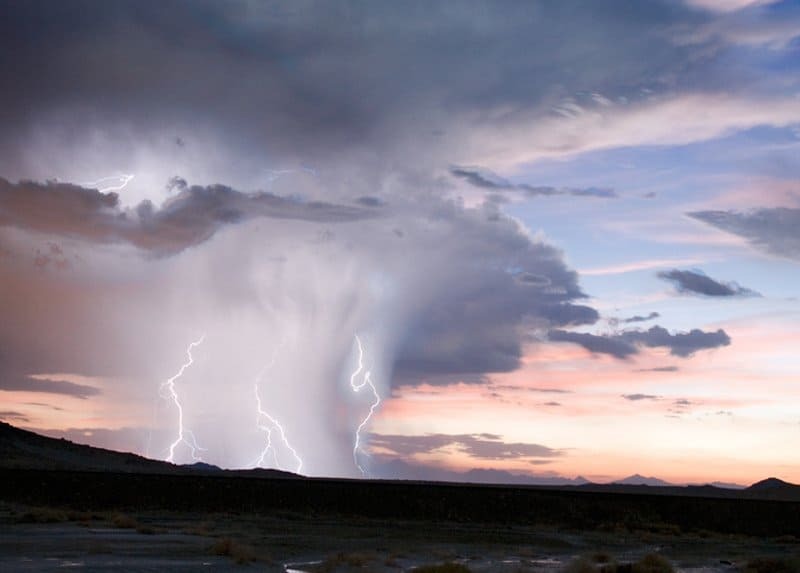 A large thunderstorm looks to be more of a superpower forming in California. Another supercell forming over Kansas that looks like a UFO striking down. Non-threatening rolling clouds that are close to the ground. Also known as “morning glory,” this is a form that is actually common in Australia. 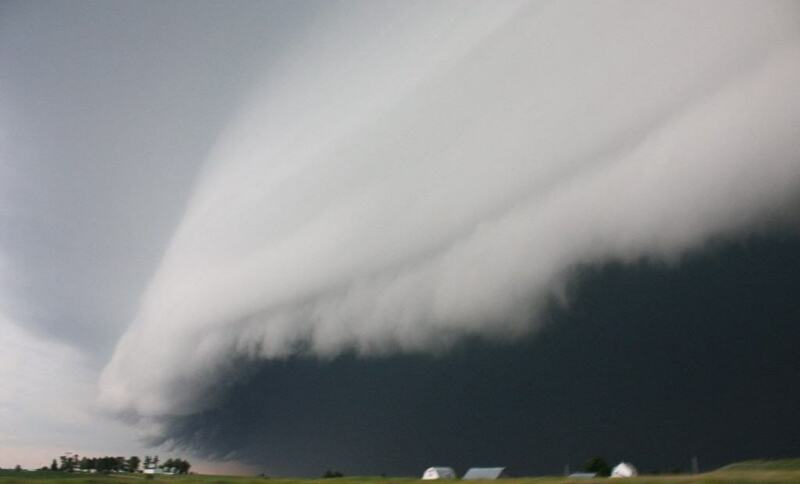 An enormous shelf cloud that formed in Southeastern Iowa. Dangerous looking shelf clouds that formed on top of Campbell Road in Raleigh. 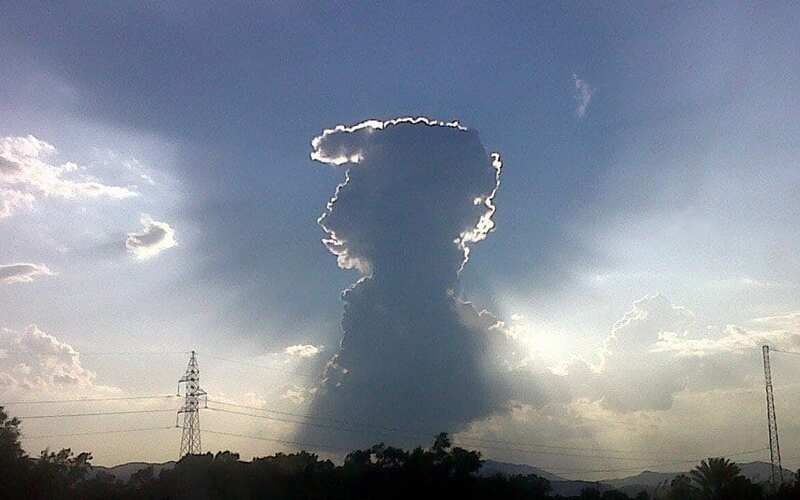 A cloud that has a similar form of Elvis, the King, over Valencia. 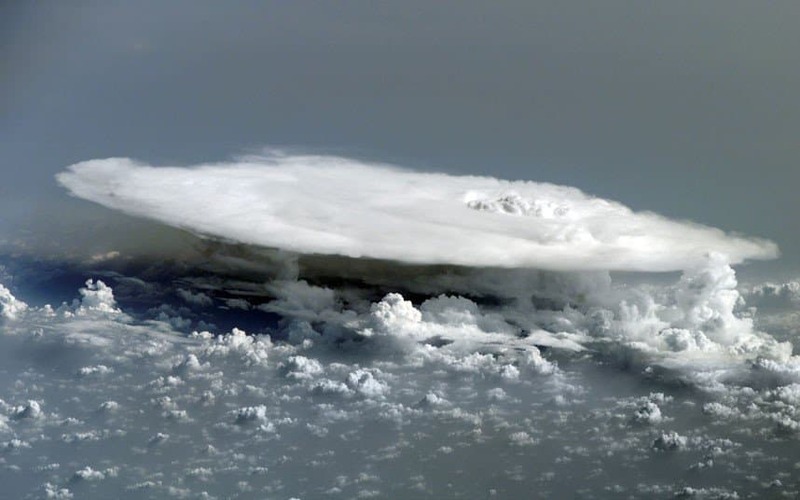 Multiple cumulonimbus clouds forming and shadowing over Africa. Tornadic supercells spinning over Mycroft. 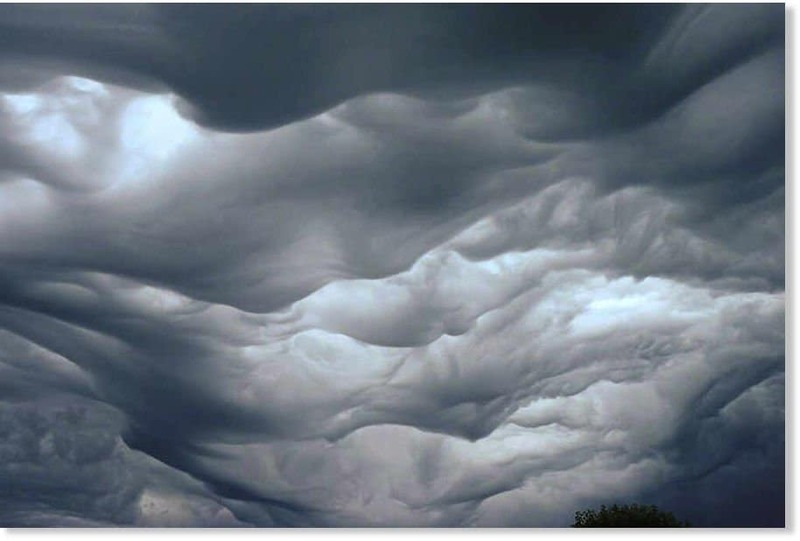 Known as the “undulatus asperatus,” these strange, wavy clouds appear when rain downpours occur. 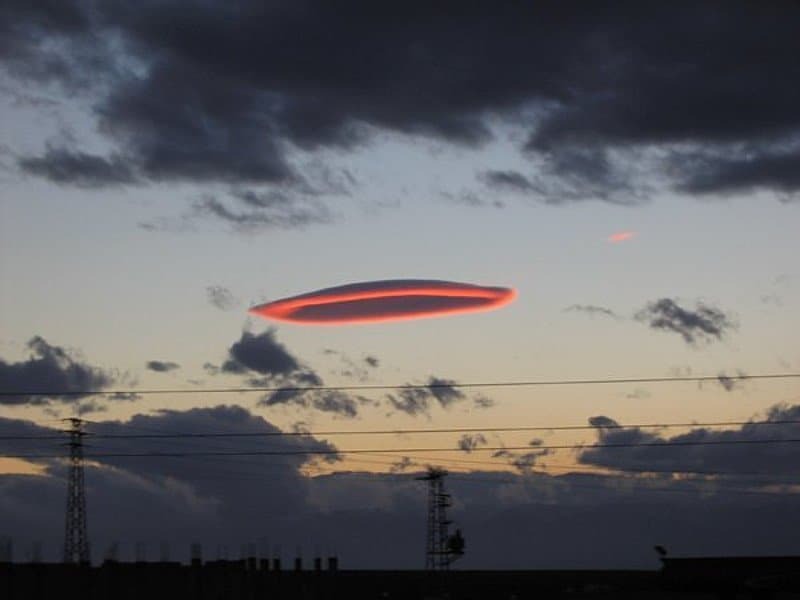 Unlike supercells, this is a lenticular cloud that really depicts a UFO in the sky.